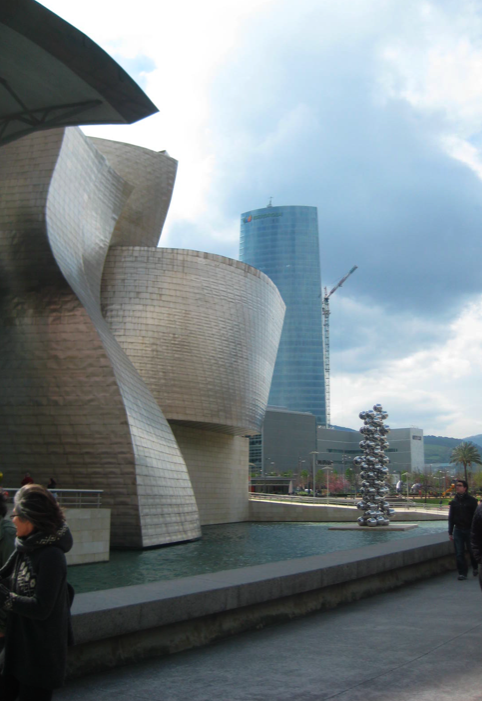 Does Bilbao need another Guggenheim? The Basque city of Bilbao was a pioneer in Europe in the use of showcase cultural buildings as a trigger for urban regeneration. 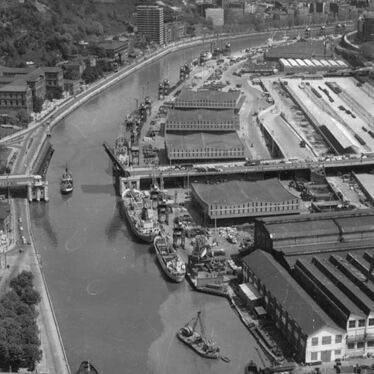 Just a generation ago the city's waterfront was an industrial port. Today, in addition to the Guggenheim itself, its architectural landmarks include bridges by Santiago Calatrava and Daniel Buren, and an apartment block by Arata Isozaki. But as with Japan, where the technique was invented [landmark structures were called 'antenna buildings' during their bubble economy of the 1980s] the global crisis finds Bilbao asking: now what do we do? As things stand, the region is still committed to a new "thrust for modernization." Bilbao's strategy, shaped with input from Global Business Network, is to become a "city for innovation and knowledge". There is talk of re-branding Bilbao as Euskal Hiria, a 'poly-centered global city' that would encompass the Donostia-San Sebastian, Bilbao, Vitoria-Gasteiz as single geographical-economic entity. Positioned as a hub linking the north of Europe to the South, the idea is that Euskal Hiria would attract an army of highly-paid lawyers, financial and marketing consultants, and iPad-toting creative professionals of all kinds. These knowledge workers, the strategy implies, would snap up the expensive apartments that now lie empty along Bilbao's waterfront. For all this to happen, Euskal Hiria would need a symbolic edifice to represent this Basque Global City to the world in the way that the Guggenheim does for Bilbao. 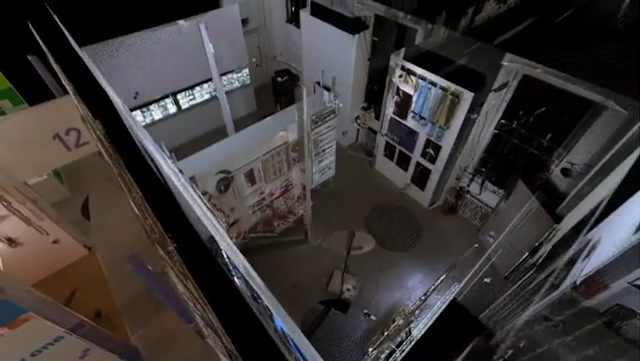 The scenario confronts two obstacles. The first is that buildings conceived as icons, spectacles, or tourism destinations have fallen victim to the law of diminishing returns. Bilbao's Guggenheim is now one among hundreds of me-too cultural buildings around the world. As their number has grown, their capacity to attract attention, or differentiate their host city, has declined. Spoiled consumer-travelers are liable to lunch in the café, buy the t-shirt, and move on. That's not a great return on all the time, work and money needed to bring these totemic edifices about. The second objection to the Euskal Hiria strategy, and Guggenheim 2 as its emblem, is that they would stand for the high entropy economic model that caused the global crisis in the first place - and that is now dying. If the iconic cultural building as a catalyst of development has run its course, and the Real Estate Industrial Complex is gone forever, is there an alternative? My contribution was to say that a bioregion - more than a high-entropy 'knowledge hub' preoccupied with abstraction - could be the ideal basis on which to re-imagine the future development of the Basque Country. At the scale of the city-region, a bioregional approach re-imagines the man-made world as being one element among a complex of interacting, co-dependent ecologies: energy, water, food, production, and information. The beauty of this approach is that it engages with the next economy, not the dying one we have now. Its core value is stewardship, not perpetual growth. It focuses on service and social innovation, not on the outputs of extractive industries. Being unique to its place, it fosters infinite diversity. The idea of a bioregion also changes the ways we think about the cities we have now. It triggers people to seek practical ways to re-connect with the soils, trees, animals, landscapes, energy systems, water, and energy sources on which all life depends. 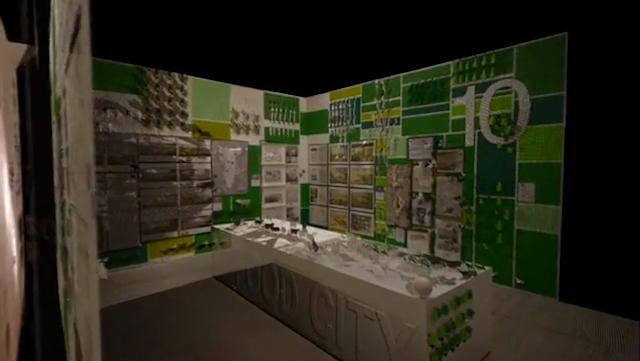 It re-imagines the urban landscape itself an ecology with the potential to support us. A bioregion is literally and etymologically a "life-place" - a unique region, in the words of American writer Robert Thayer, that is "definable by natural (rather than political) boundaries with a geographic, climatic, hydrological, and ecological character capable of supporting unique human and nonhuman living communities". 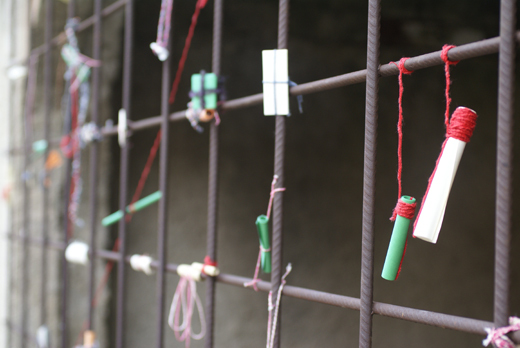 A growing worldwide movement is looking at the idea of development through this fresh lens. Sensible to the value of natural and social ecologies, groups and communities are searching for ways to preserve, steward and restore assets that already exist - so-called net present assets - rather than thinking first about extracting raw materials to make new iconic buildings from scratch. 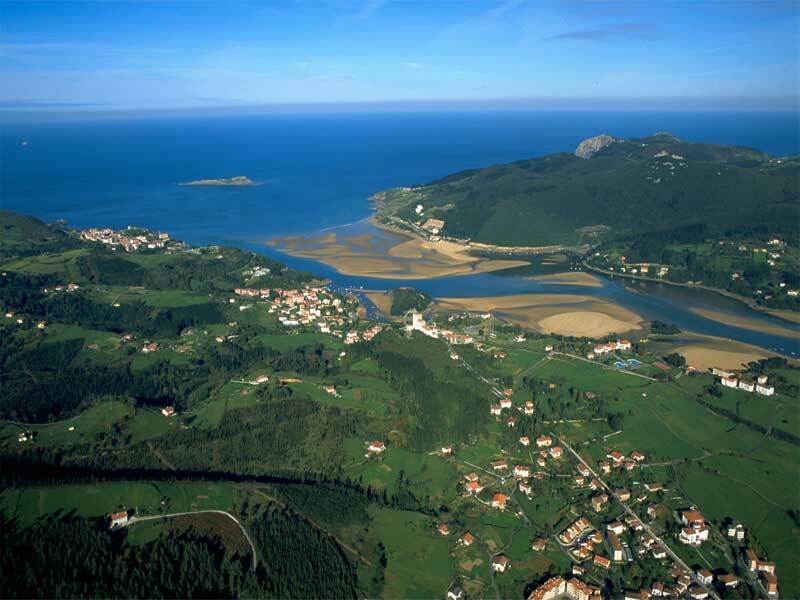 One idea already floated in the Basque region is to locate a Guggenheim-type facility in the Biosphere Reserve of Urdaibai. This spectacular salt marsh and coastal landscape on the Bay of Biscay coast covers an area of 220 km2 and contains only 45.000 inhabitants. My response, at the conference, was that a 'pure' piece of nature, such as Urdaibai, is not the ideal starting point for a new regional narrative. It would reinforce a myth that sustainable development involves returning to pure and unsullied nature. A better priority, I proposed, is to focus on ways to restore and enhance the flows and ecologies of city and countryside. A number of artists in the Basque region, it turns out, are already exploring this approach. In a variety of ways, they are engaging citizens in new kinds of conversations and encounters whose outcome is transform the territory - but indirectly. Maider Lopez for example, invited citizens to create a traffic jam on the sides of mount aralar where normally traffic is light. More than 400 people in 160 cars responded to the invitation. For five hours of a mid-September day participants clogged up the winding roads of the the Aralar Mountains in a variety of artful ways. 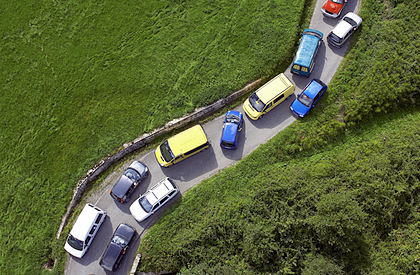 Lopez, who describes her work as 'a poetic approach to community engagement in daily life', told us her traffic jam was to get people thinking about the automobile’s impact on the landscape - only to do so without telling what to think or do about it. 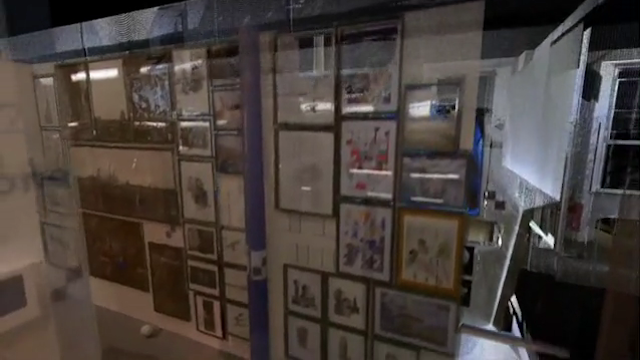 Another artist, Ricardo Anton, presented a project about trash. 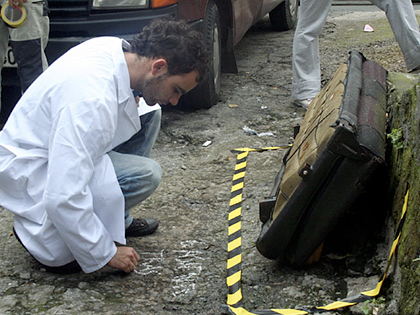 His approach was to use subtle signs and signals - such as framing dumping site blackspots with CSI-like striped tape. Anton explained that these kinds of projects 'create new spaces for encounters in an ever changing territory of relationships'. They are a variety of what he called 'micro-politics' that in his experience are more effective than telling citizens what to do, or how to behave. Saioa Olmo Alonso described an enchanting project in the abandoned Bizkaia Theme Park that closed in 1990. Seventeen years after closing its doors, the original Ghost Train, Octopus and Crazy Worm were gradually being overgrown. Alonso invited groups of citizens to imagine new possibilities for an area once dedicated to fun and entertainment. These light-touch encounters create what Alonso calls 'micro-utopias'...whose positive energy complements the formal planned features of a town's development. In Bilbao I also caught up with Asier Perez, from Funky Projects. Asier had wowed a Doors of Perception event in 2004 with his presentation about cactus ice cream as a communication tool - so I was keen to get an update. Combining artful interventions and service innovation, Funky Projects' portfolio now includes service design for Telefonica and Pepsico, as well as many projects for government and third sector on social innovation and the development of new kinds of tourism services. 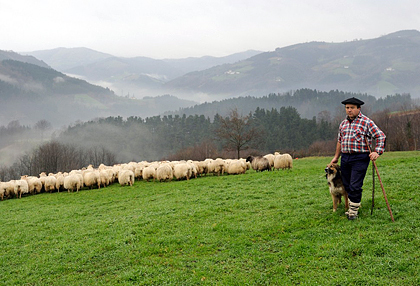 Funky projects are developing strategies for the Gorbeialdea region - Euskadi's 'green heart' - where local authorities developed the idea of being a shepherd for a day or listening to animals sounds by night. 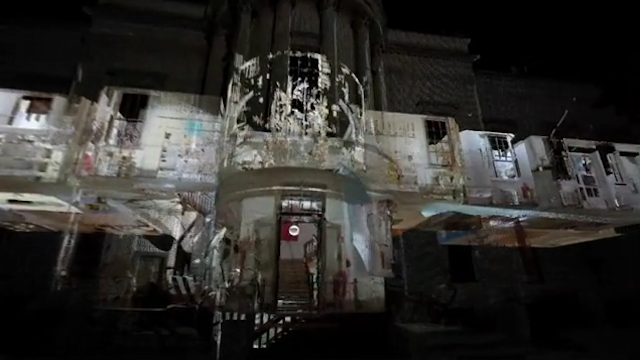 The work of these artists and designers anticipates a new approach to regional development. With the bioregion as their canvas, they are helping different kinds of groups and communities imagine new uses for the places and contexts that surround them. They are not alone. A new kind of economy - a restorative economy - is emerging in a million grassroots projects and experiments all over the world. The better-known examples have names like Post-Carbon Cities, or Transition Towns. The movement includes people who are restoring ecosystems and watersheds. Their number includes dam removers, wetland restorers and rainwater rescuers. The movement is visible wherever people are growing food in cities, or turning school backyards into edible gardens. Many people in this movement are recycling buildings in downtowns and suburbs, favelas and slums. Thousands of groups, tens of thousands of experiments. For every daily life-support system that is unsustainable now — food, health, shelter and clothing - alternatives are being innovated. What they have in common is that they are creating value without destroying natural and human assets. The keyword here is social innovation - and the creation of social goods - because this movement is about groups of people innovating together, not lone inventors. Listening to the artists' stories in Bilbao, however, I reflected that it would be hard work to sell these kinds of project to policymakers and development professionals. In their world, ideas are the easy part. What's hard is getting disparate actors to collaborate. In that respect, iconic building projects can be an effective way to focus and galvanise the energies of disparate stakeholders. But if shiny new cultural buildings are a thing of the past, could a new kind of icon take their place? 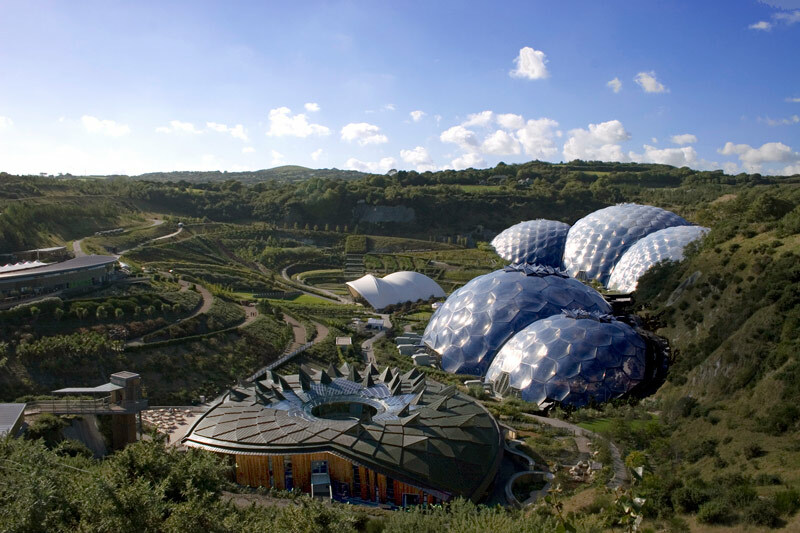 The drawback with this idea is that Cornwall already has the original Eden Project - so why copy the same, only 10 years later? At this point, as if by fate, Xabier Laka, one of the organizers, mentioned the Lemoniz Nuclear Power Plant. 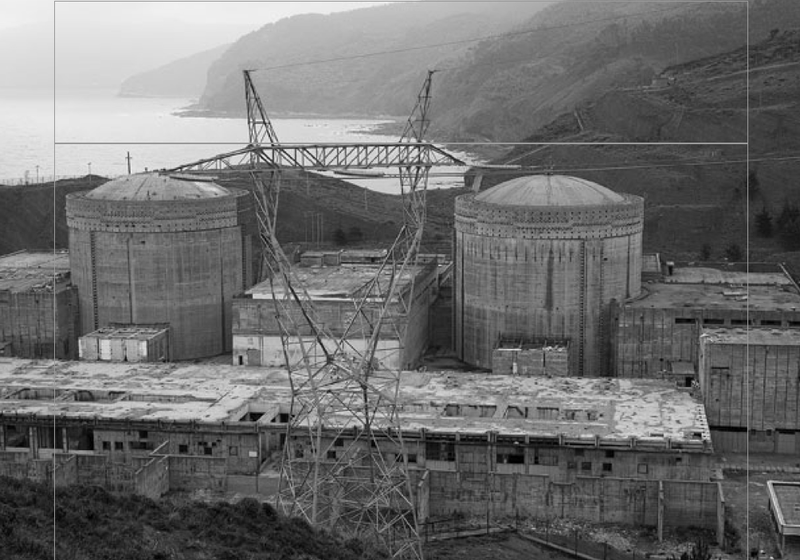 Construction of this huge facility was nearly complete when, 28 years ago, Spain's nuclear power expansion program was abruptly cancelled following a change of government. The Lemoniz plant was never commissioned. Since then, several propositions have been made to reconvert the place for other uses - but none has taken off. Bingo! I thought. This could be the perfect next icon for the Basque Country. I could see the headline: "Lemoniz: from Nuclear Energy to Social Energy". It could become a year-round showcase and hub for the multitude of projects that are out there in the territory, only invisibly so: productive urban gardens; low energy food storage; communal composting solutions; re-discovery of hidden rivers; neighbourhood energy dashboards; de-motorised courier services; software tools to help people share resources. Now all I need is to persuade the nice Mr Galán, who owns the Lemoniz site that, now his Iberdrola Tower is more-or-less complete, this should be his next sustainable innovation project. 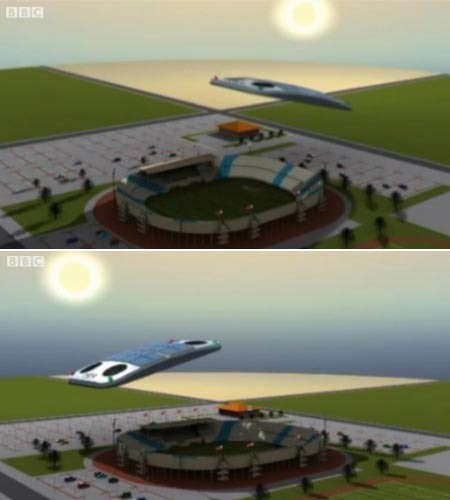 [Images: "Artificial clouds" designed at Qatar University under the direction of Saud Abdul Ghani; images from a video hosted by the BBC]. "Artificial clouds" driven by solar-powered engines might be deployed at the 2022 World Cup in Qatar to help keep the stadiums from overheating. 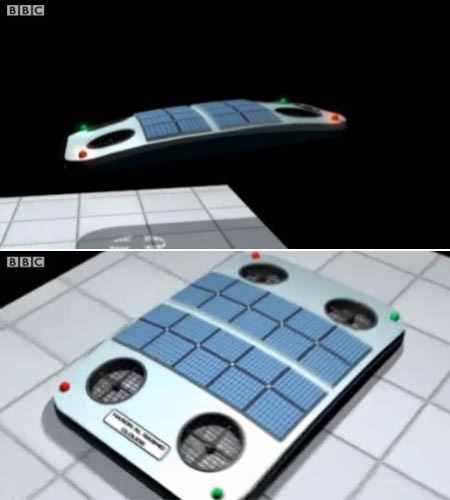 Each cloud, as a short video hosted over at the BBC explains, "is constructed from an advanced, lightweight, and strong carbon-fiber material." The interior of the cloud is injected with helium gas to make it float. The cloud hovers like a helicopter and is remotely controlled. In this way, the cloud hovers over the football ground, shielding it from direct sunlight and providing a favorable climatic environment. The cloud is also programmed to continuously change its shielding position according to the prevailing east-to-west path of the sun. 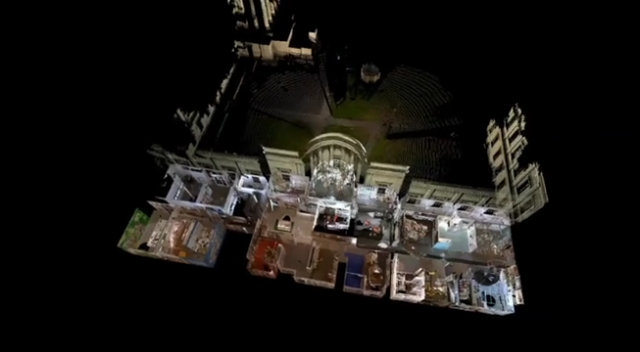 After all, I suppose it makes sense that the next step in temporary event architecture will be a remote-controlled swarm of rearrangeable horizontal and vertical surfaces, forming ceilings, roofs, walls, floors, ramps, and stairways. However, justifiable skepticism aside, there is something fantastically interesting in the suggestion that a regional architecture, whose formal and technical history includes several centuries' worth of portable tent design, would—and I exaggerate—leapfrog past the idea of stationary, permanent construction altogether and instead go for something like an on-demand spatial robotics, such as the "artificial clouds" seen here. Are instantly deployable, remote-controlled sun shielding surfaces—unmanned aerial architecture, perhaps—a kind of unexpected next step in the evolution of tent design? Nomad caravans wander through the desert with strange, helium-filled wireless air pillows whirring quietly overhead. Perhaps they could even be Wifi hotspots. The ErgNet. 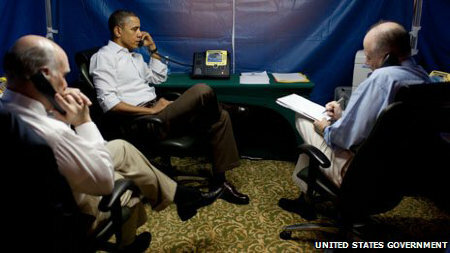 The photo above is, according to the BBC, an extremely rare photo of Barack Obama inside his top secret tent. The tent is an example of a mobile secure area also known as a Sensitive Compartmented Information Facility, or SCIF, "designed to allow officials to have top secret discussions on the move." In fact, the BBC reports, "they are one of the safest places in the world to have a conversation." This particular SCIF has been set up in the middle of a hotel room in Brazil—you can see the carpet pattern on the floor. Obama was on a pre-arranged trip to Brazil when airstrikes in Libya began on Saturday, and needed a secure facility from which to talk to his Secretaries of State and Defense, as well as fellow coalition leaders. While the tent material looks like fairly standard blue tarpaulin, it is actually completely soundproof, windowless, and "made from a secret material which is designed to keep emissions in and listening devices out." The BBC quotes Phil Lago, whose company, Command Consulting Group, regularly supplies SCIFs to government agencies, who explains that a "ring of electronic waves" ensures that only signals from an encrypted satellite phone can get in and out. Apparently, the President never travels without his SCIF, which is surprisingly portable. According to Lago, "You can usually fit them into two large foot lockers and that's most of the equipment you need." The exact specifications of these mobile security pods are top secret, and for most of us, this photo will be the closest we ever get to a SCIF. James Bond, eat your heart out! “I was privileged to collaborate with Bucky for the last 12 years of his life and this had a profound influence on my own work and thinking. Inevitably, I also gained an insight into his philosophy and achievements,” shared Lord Norman Foster. Recreating the legendary futuristic Dymaxion Car, Foster’s No. 4 version was a lengthy and expensive two year project, but was obviously a labor of love. Buckminster Fuller’s futuristic three wheeled car was brief, with a mere three actually built. Incredibly efficient the streamlined body with long tail-fin averaged 35 miles to the gallon and could achieve 120 mph. The Zeppelin inspired design with a V8 Ford engine was intended to fly as well, Fuller’s vision of revolutionizing how people traveled. Referencing some 2,000 photographs as a starting point, Foster was also able to borrow the only surviving Dymaxion Car (No. 2) from the National Automobile Museum in Reno, Nevada, with the promise of creating a much needed new interior for the car. Recreating the interior for the new car (as well as for No. 2) ended up being more of a historic approximation relying primarily on images of the original Dymaxion Car, tracking down (if any) original components, and building replicas from scratch. 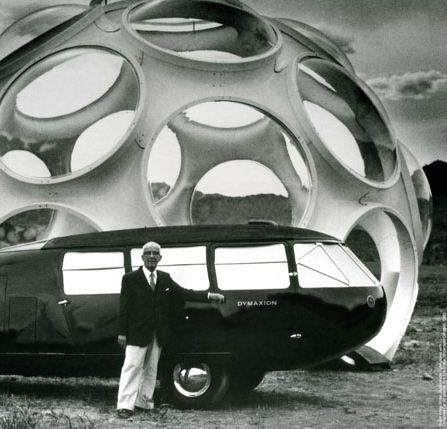 The completed Dymaxion Car was featured in an exhibition of the work of Buckminster Fuller curated by Foster in Madrid last September. 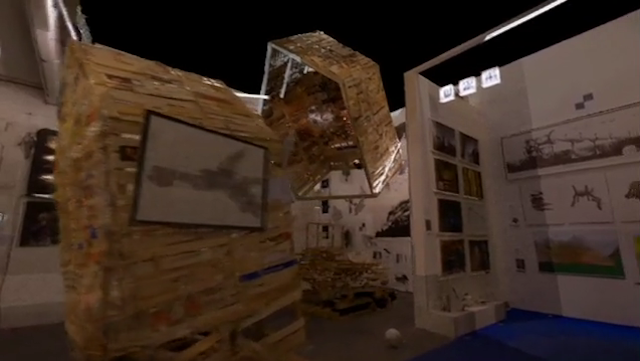 Our coverage of the exhibition can be found here. What inspired you to recreate Bucky’s famous Dymaxion Car? Bucky is never far from my thoughts. We collaborated on projects for the last twelve years of his life. When I was awarded the Royal Guild Gold medal in London, he gave the talk. At that point we had decided to do houses for each other. So he came over and we talked about the project. He gave the talk and then he left for America, off to see his terminally ill wife, Ann, in the hospital. On arrival, he had a fatal heart attack at her bedside and she died thirty six hours later. Curiously, on that trip to England, he said to me, “You know, Norman, anytime, I can pull the plug.” I guess that’s when he pulled the plug. He got there and realized that his wife wasn’t going to recover. Why remake the Dymaxion now? It was an interesting exercise for us. Like everything else he did, the car was pure Bucky. He was a friend of Henry Ford, which insured that he would get Ford parts for 30 percent of their true cost. 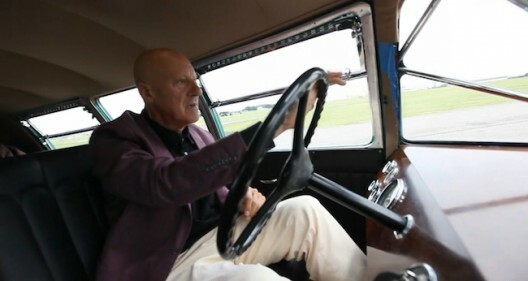 So he took the flathead v8 engine, the wheels, the steering wheel, the transmission, and turned it 180 degrees. So you can make a like-by-like comparison between the Dymaxion car and Fords from 1913 to 1933. But the Dymaxion was three times the volume. It had the potential of taking up to eleven rather than four. It was significantly faster, and consumed half the fuel. It was truly doing more with less. In recreating the new car, where did you draw the line between faithfully executing those original plans and drawings, and making improvements to them? The #4 car is not a replica of the #3 car, but we did replicate the engine, the Studebaker ignition, the Ford wheels and steering wheel. The only thing that’s not completely authentic and original is the hand break. The original didn’t have one, for some strange reason. I saw the surviving Dymaxion at the Whitney show a few years back. The interior had badly deteriorated. 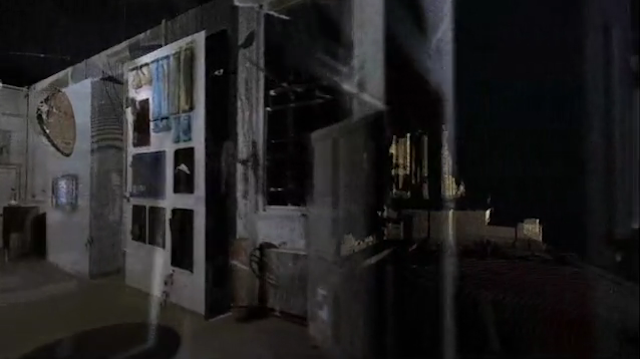 Your team must have done a great deal of detective work to recreate the interior. Yes, unbelievable. Fortunately, we know the people at Stanford well, where the archive is. And the people we chose to do the restoration work were also extraordinarily incredible at research. We generated a huge body of knowledge. People would email and call in. We developed a great archive and out of that produced a book on the car. The book is tiny, tiny tip of the iceberg on all the material we generated. It took two years to complete this. How much did the project cost? I’d rather not talk about that. The true answer is an arm and a leg, a lot of money. It took twice as long and cost significantly more than I had budgeted for it. Of course, that’s everybody’s story with any classic restoration. Everyone underestimated the task. But then, it was a group of perfectionists involved, and it’s an absolutely stunning vehicle. What is the car’s relevance to automobiles today? First of all, the maxim of doing more with less is more urgent and imperative today than it’s ever been. 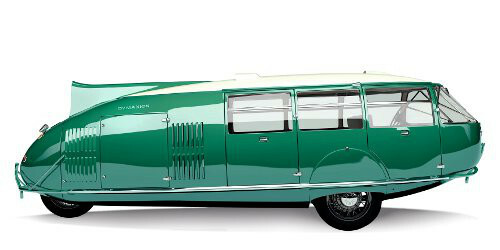 In a way the Dymaxion was the classic people-mover before its time. The three wheel configuration caused a lot of debate. Was it a stable configuration? Not withstanding the size. It does produce this extraordinarily dramatic turning circle. There is a vintage movie of Bucky pirouetting the car around this policeman. It just nudges the policeman as it circles around him. I’ve driven it in an airfield and explored exactly that capability. There’s something in that feel as you wind the steering wheel and increase the power. The horizon just kind of spins around the cockpit. It’s quite extraordinary. And it’s a show stopper. What’s the ride like aerodynamically? It’s not soft, but it’s amazingly cushioned. It’s more like a boat. Of course it was co-designed with Sterling Burgess, the America’s Cup-winning yacht designer. So the ride is quite remarkable. It has a lot of the characteristics of 1930s cars: the break pressure is quite heavy, but that’s normal for vehicles of that period. It has its British MOT and British plates. It is road legal, but since it has precious value I’m not sure that I’m about to drive it on a narrow country lane. What can it do on a straight away? You’d be very conformable on legal road speed limits. Natural caution on my part, possibly a side affect of advancing years, introduces a degree of hesitation. Would it comfortably do 100 kph [sixty miles per hour]? Oh, yes. It’s also a precursor to something called the D45. The D45 was an urban car, seating five, with the same three-wheel configuration. But the drawings of that demonstrate that it had better stability at speed because the rear wheel extends out to increase the wheel base. We did a series of studies and developed an absolutely beautiful film. We showed that as part of our Bucky exhibition in Madrid. It is quite amusing. The Dymaxion comes out of a 1930s garage in New York and drives past all these old cars. It goes past the Hearst Building, which of course was still relatively new, then crosses the river and goes into a tunnel. It comes out the other side in present day New York. It still looks like something out of a science fiction movie. It’s interesting how you and Nicholas Grimshaw and Richard Rogers were all drawn to Bucky in your formative years. What drew all of you into his orbit? It was his philosophy, his optimism, his belief in friendly clean technology that would enable the species to survive if they used their intelligence. There were other influences during that time. But I never dreamed that a few years later I’d end up being approached by Bucky to collaborate with him on projects and for it to become such a close relationship. You’ve talked about Bucky to younger audiences. Do his ideas connect with them? I think they really resonate. He empowered a generation. It’s not too much of an exaggeration to say that he triggered the green movement. Whether anything has made enough of an impact can be debated, but certainly the environmental movement is rooted in Bucky. He has tremendous appeal and relevance to younger generation architects and environmentalists today and in a way, I feel that he’s not recognized the way that he should be. He’s been much more widely understood in Europe. I don’t know how you feel, but I don’t think he’s ever been truly understood in America.